This is the best strawberry pretzel salad recipe that produces a creamy, luscious and decadent dessert. I love it not only during the summer months, but every month. The flavor of sweet and salty is what makes it. The buttered and baked pretzel crust is so delicious, I even use it for my no bake cheesecake - with fruit topping it's a winner. I have tried making this with homemade whipped cream, but it does not hold up as well. None-the-less, it's still outstanding. If raspberries are your favorite fruit, please feel free to use them. Just make certain you leave it in the refrigerator and the Jello is completely set. Enjoy this refreshing strawberry dessert. I've heard folks call it the strawberry whip cream jello dessert too. Whatever you call it - I say it's fresh and delicious. Mix the crushed pretzels, 4 TBS white sugar and melted butter together and press into a pie pan. Bake for 10 minutes or until lightly toasted. Set aside and cool completely. In a bowl, beat together the white sugar and cream cheese for 3 minutes. Fold in the whipped cream. Spread cream cheese mixture all the way to the edges on top of the cooled crust to form a seal so the Jello mixture that follows doesn't make the crust soggy. 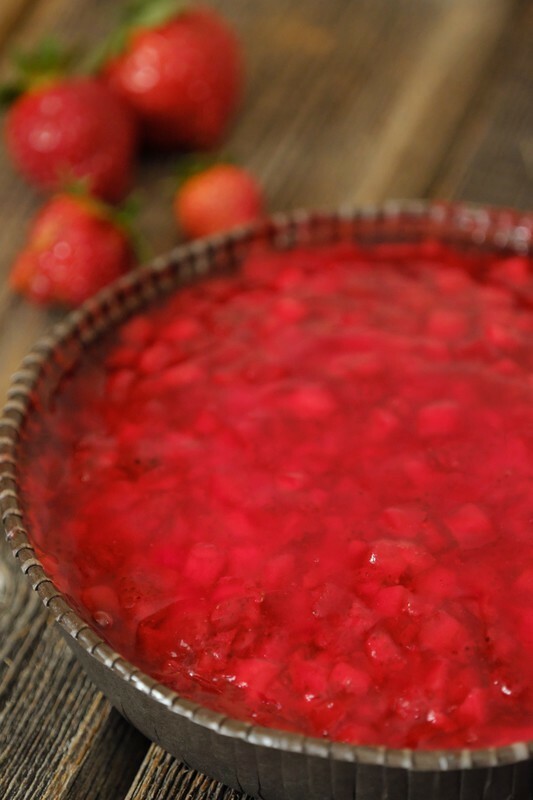 While the crust is cooling, mix the hot water and Jell-O together and stir until dissolved. 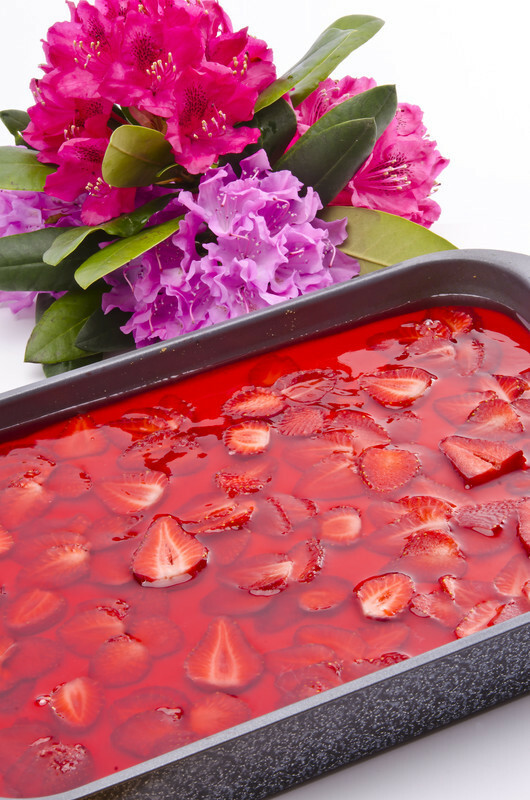 Let cool down to room temperature (or freeze for a few minutes; stirring often) and add the fresh strawberries. If you don't have fresh strawberries, you may use frozen strawberries. Just add the frozen berries to the Jello after it is completely dissolved. Then pour over chilled cream cheese mixture. Refrigerate for another 3 hours or preferably overnight. To make this strawberry pretzel salad for a crowd (or a really hungry family), just double the ingredients in the above recipe. Just be sure to chill well. Enjoy my friend.